Work with companies that are creating the products of tomorrow. Overcome barriers to increased revenue. You’ll help clients to maximise the opportunities made possible by the convergence of communications, content and computing. Apply your know-how to help companies leverage digital opportunities, grow consumer engagement, and increase the effectiveness of their content. Use your technology understanding to help clients adapt to the digital landscape at speed, simplify operations, better understand their consumers, and capitalise on new channels and routes to market. Apply your hi-tech skills systematically and objectively, and help organisations to add value to their existing business practices, while cutting costs, reducing risk and minimising disruption. You will be part of a global company with a world-class brand and reputation, reinforced by a code of business ethics and core values focused on serving our clients, developing our people and contributing to the community as responsible corporate citizens. Our clients span the full range of industries around the world and include 89 of the Fortune Global 100 and more than three-quarters of the Fortune Global 500. Accenture makes constant investments in its employees' development. Last year we invested more than $787 million in training and developing our people. Our industry-leading training and development and career counselling provide the tools and support for you to succeed. Our "Total Rewards" package includes a range of market-relevant benefits, as well as programs to help you manage the demands of your career and home life. Accenture leverages the latest technology and workplace tools to transform how and where work happens–supporting the highly collaborative nature of our work and the personal needs of our people. The Accenture Talent Connection is easy to join, and is open to anyone who is interested in discovering more about what we do, how we do it and what makes us different. Leverage your insights to transform clients in the Communications, Media & Technology industry, while building an extraordinary career with Accenture Consulting. I joined Accenture as a graduate out of University. There were quite a few company events at university to attract applicants, but Accenture’s was by far the most fun. Now I’m a Senior Manager in the Communications, Media and Technology practice and I work with clients in this industry to help transform their business and solve business challenges. I enjoy working across many interesting and challenging projects, in locations all over the world. Recently I attended a project launch party in Barcelona which was pretty awesome! I’ve learnt how to manage a diverse and multi-location team; many commercial management skills; how to deal with difficult situations – deadlines, impossible problems, and building a new team to name a few. The career progression at Accenture is great, so you always have a promotion goal on the horizon, but I like to focus on enjoying what I do each day and making sure I am bringing my best. I believe if you do this you will head in the right direction. I have a lot of people around me guiding me to achieve my goals and have fun in the process. I would say Accenture is a great company to work for – you can pretty much design the career you want. The areas of work are so diverse and everyone’s journey is unique. My favourite thing about working with Accenture is the variety of cutting edge work I’m doing on a daily basis; as well as the smart, driven people within Accenture and our clients that I have the pleasure of working with. I chose Accenture for the reputation and results. We are the only consulting firm that can go end-to-end; develop a strategy, design an amazing experience, implement the solution, and then operate the platform. The most valuable things I’ve learnt to date are persistence and judgement: a great idea alone is not sufficient, a lot of hard work is required to turn this into something valuable. In addition, understanding the likely impact of a change or issue on our goal helps us to execute effectively – how much does something matter relatively. I was given a great opportunity to lead the delivery of a solution that was underpinned by some new technology. Although this felt like a stretch goal, I was confident that I had the right support within Accenture to make the project successful. Opportunities which scare you a little are the best ones to embrace! We have some great leaders within CMT who will always make time for you. In my career, I have never had anybody say no when I’ve asked for some help or guidance be it project or career related. I originally found out about Accenture through my cousin who was working for us out of the UK office and I was initially enticed to join the firm because of the The ‘NBN Co” project. The prospect of working on a world first Australian project was very appealing. Almost 4 years on I’m still enjoying working on projects for NBN Co. There are a variety of expressions on someone’s face when I say I am a ‘Management Consultant’. 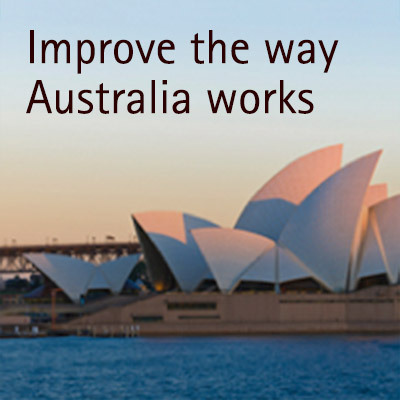 Truth is, I have had several diverse roles including working with engineers who design the network across the continent, leading a Commercial team which processes all the payments for the many construction contractors, as well as more recently helping NBN build the workforce required to deliver the new program. The most interesting experience I’ve had whilst at Accenture was participating in Accenture Development Partnerships (ADP) program. This was a really rewarding and totally left of field experience. Click here if you would like to learn more about the experience. Currently I am working as a Business Analyst looking after the IT roadmap for our client. This involves working with both our business and IT stakeholders to define the business outcomes we want to achieve and how the delivery of IT capabilities will help us get there. Each day is generally a mix of facilitating workshops to define business processes and requirements, working with IT architects to define high level solutions, and meeting with the various IT teams to handover projects for delivery. My current role has enabled me to work quite closely with senior client stakeholders. I remember sitting in one meeting and the CIO unexpectedly dropping in! Yes, some days are hard, but I am always driven by the fact that I am involved in helping to build something that will benefit so many people. I also balance my busy work schedule with travelling and dancing; these are my passions. It’s a competitive environment, but at the same time I’ve found the people I work with to be incredibly collaborative and helpful. The training that I’ve attended has also always tried to focus on providing real examples and past experiences to illustrate what they are trying to teach, which works for me. The thing I like about Accenture is that you are not constrained to a specific career path. I don’t have a specific end goal in mind, but I am always looking for new challenges that will enable me to learn more. I have the opportunity to experience a variety of roles and work at the intersection of business and technology with leading clients. Hearing about all the exciting projects Accenture does, including travelling around the world, I dreamt about working at Accenture. Six and a half years later, I am still here and loving it! This may sound very cliché, but it’s the people that are my favourite thing about Accenture. I get to work with all these intelligent people every day. I also love that I have the opportunity to do different roles, work with different clients and people. I believe Accenture is the place I can build and grow my career. I am inspired by the leaders we have here and I want to be one of them. Being promoted to manager was a career goal for me and I felt I worked very hard to get here. When I was told by my career counsellor that I’d made it, words cannot possibly expressed how I felt. To describe Accenture and what we do in very simple terms, I’d say we are doctors to businesses. We look at a business and examine its health and prescribe a health plan. For the first time in my career, I couldn’t imagine waking up and working elsewhere. I started my journey as a pure technical person, and have progressively transformed myself into a project management guru. The scale of work that I am taking year by year is far from what I expected when I first joined the team. I get to work in different roles, with different clients and in different geographical locations. Apart from my day-to-day delivery, I have lots of opportunities to teach. Yes, teach. To facilitate leadership training programs, be the faculty of our core training curriculums, teaching English for our other region colleagues. People is what I am passionate about, I am so glad that I have the opportunity to help in shaping our next generation, which is something I enjoy to see and do. I want to ensure my leadership will bring our business and people to places where we feel good and are rewarded. Outside of work hours, I spend most of my time with my family. My daughter has just recently turned three, and always keeping me busy. I also enjoy hanging out with friends, a cup of coffee or red wine. This place attracts the best people around the globe, there are so many opportunities and impacts we are making every day. I strongly encourage passionate people to join our journey. As long as you can dream about it, it can happen! I work as a Consultant in Change Management, therefore I help to transition people to a new work scenario. For example, if in your current job, you complete A, B, C, from tomorrow you will need to complete A, C, Z. I help to prepare you for and manage the transition to the new process or system. This includes informing you and ensuring you have the skills and knowledge you need for the transition. Then, more often than not, I am interviewing client SMEs and liaising with internal and external stakeholders to gather information as my role involves a lot of stakeholder management. As a team we are often brainstorming, documenting and presenting research and potential solutions to our project sponsor and lead. I have recently returned from Core Analyst School and thoroughly enjoyed it! There are some great local development courses too which have been really worthwhile. I appreciate not only learning the explicit skills required to carry out my role, but more importantly for me, learning skills such as effective ways to communicate with clients and how best to convey ideas / concepts. I was fortunate to have started my journey with Accenture through a 6 month industry based learning internship, during my penultimate year of university study. Accenture has a strong reputation as a large, global consulting firm and it was tremendously exciting to get some practical experience in the real world. During my internship, I grew very fond of Accenture’s culture and people – I couldn’t imagine working anywhere else! Currently, I am on a Release Management role for a telecommunications client. Our team is responsible for the project management of bi-monthly product releases (including high profile market launches such as the iPad Air, Mini, and iPhone 6). Our team spans across Australia and India, and we are heavily involved in all phases of a software development life cycle (analysis, design, build, test, deploy). It’s really satisfying to see how your efforts have a direct business impact for your client and the world around you. Mentoring and training support is another exciting part of being with Accenture. From the experienced faculty staff, dedicated training centres (including international locations), and well established training courses and industry recognised certifications, there is a wealth of knowledge to experience. Accenture also supports mentor / buddy programs and also provides designated career counsellor(s) to support you throughout career progression and goals. I found that the career counsellor in particular is a critical presence – they are able to offer unbiased support since they do not necessarily work with in the same team or project, or for the same client as you. I believe that even if you are a great business operator and achieving all of your business targets, you could hate your job if you think you don’t feel you are contributing to the big picture. This is not an issue for me, I am engaged with my work and my team, and many other distractions tends to fade into the background. Discover how Accenture partners with leading organisations to help them maximise opportunity. NBN Co turned to Accenture to quickly design a financial and procurement management system to process financial transactions in time for the start of the financial year, completed in a record 57 days. Leveraging global experience and our Oracle alliance partner NBNCo executives now have flexible and adaptable financial management tools and systems that allow them to keep pace with the growth of their business. Working closely with Accenture Strategy, Optus implemented the industry’s first-ever asset disposal program. Every year Optus needs to decommission obsolete assets. Accenture helped Optus to develop the industry’s first-ever environmentally friendly asset disposal program which generated in-year cash benefits of just under AUD$3 million through resale of reusable assets and the recycling of obsolete equipment. Additionally, by liquidating so much of its old inventory, Optus has been able to shut down one of its warehouses and expects to achieve storage cost savings of more than AUD$3 million over a three-year period. The new revenue stream from the asset sale and disposal is unlocking funds that Optus can reinvest in other parts of the business, and this initiative is encouraging the reuse of assets, thus assisting with sustainability of the global telco supply chain. 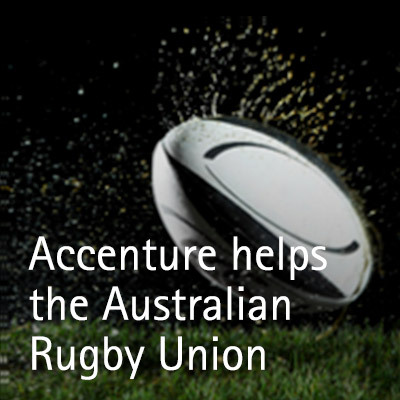 Accenture helps the Australian Rugby Union Achieve Digital Success and Fan Engagement in Mobility, Analytics and the Cloud. ARU named Accenture as its official technology consulting partner in 2012 to help maximise it's use of technology and take advantage of the opportunities their digital content presented, Accenture helped ARU define how cloud, mobility and analytics can improve relationship management and personalise online experience. Mobile apps, digital content strategy, analytics platform, and CRM operating models immediately led to impressive benefits. The ARU were experiencing challenges in keeping fans engaged, driving participation and capturing the opportunities presented by digital content. Attendance at matches, content engagement through mobile apps, devices and social media channels supported by a new robust CRM platform has given the ARU the ability to personalise engagement, ensure loyalty and offer commercial benefits for rugby as a whole. In 2013, we acquired the Fjord Globally and in 2014 we launched Fjord in Australia. In 2015, Accenture acquired Reactive, one of Australia leading digital design agencies. Live Streaming Service Helps Cricket Australia Delight Fans. Telstra: converged music and movies. Australian Rugby Union: Digital Success and Fan Engagement in Mobility, Analytics and Cloud. Optus: New Revenue and Asset Disposal Strategy.